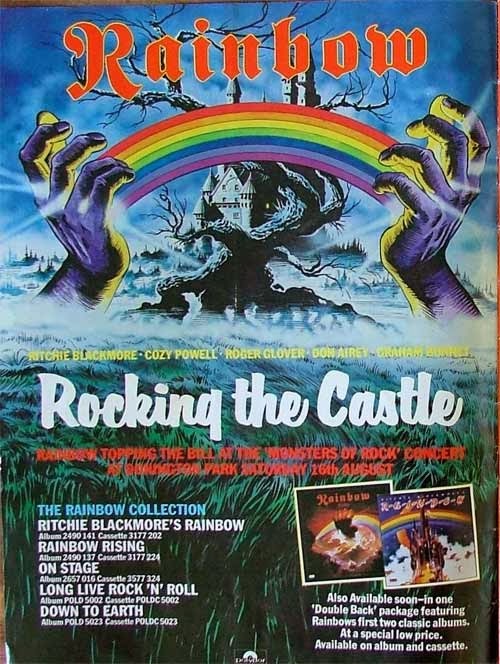 The Monsters of Rock 1980 concert was Cozy Powell's last gig with Rainbow, he left due to the usual "artistic disagreements". The entire show was filmed and Rainbows set was broadcast on TV. 01 - Intro - Lazy. 02 - All Night Long. 03 - Catch The Rainbow. 04 - Eyes Of The World. 06 - Will You Love Me Tomorrow. 07 - Long Live Rock 'N' Roll. 08 - Guitar Crash - Kill The King. 09 - Long Live Rock 'N' Roll (Reprise).